For the past couple of days, we have heard rumblings from the U.S. Conference of Catholic Bishops, starting with a very curious article in Politico. David Rogers interviewed Richard Doerflinger, the USCCB’s associate director of pro-life activities, who apparently made the comment that if the House of Representatives agrees to what Stupak is asking for in the Obamacare bill, then the USCCB will work on the U. S. Senate to go along with the same language. 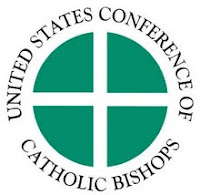 The report does not say that the USCCB will generate advocacy from the Catholic laity, but rather that the organization itself will throw its weight around, which sounds a whole lot like lobbying and not much like holding the line for truly Catholic principles in health care reform. It is of the utmost importance to clarify for the unsuspecting or uncatechized that the Catholic Church does not teach that the killing of a child prior to birth by an act of abortion is the only intrinsically evil way to rob a person of his or her life. There is also human embryonic stem cell research, many types of contraceptives, euthanasia and infanticide … each of which is equally evil, equally deadly and equally unmentioned by the USCCB in connection with Obamacare. That is perhaps troubling enough, but there is more. We cannot help but think that the politics of so-called progressivism has become more important at the USCCB than the wishes of the Catholic faithful, who like the majority of Americans, don’t want Obamanomics shoved down their throats. Why is there such a rush to sate the liberal elements of the Democratic political machine and so little time to consider what is (as one Catholic cardinal explained to me) the job of the laity, not the hierarchy? As I recall, he told me that bishops are charged with preaching truth, and it is the people in the pew who are supposed to do the political work. However, apparently he, like so many of his peers, does not really believe that for a second. What a shame.